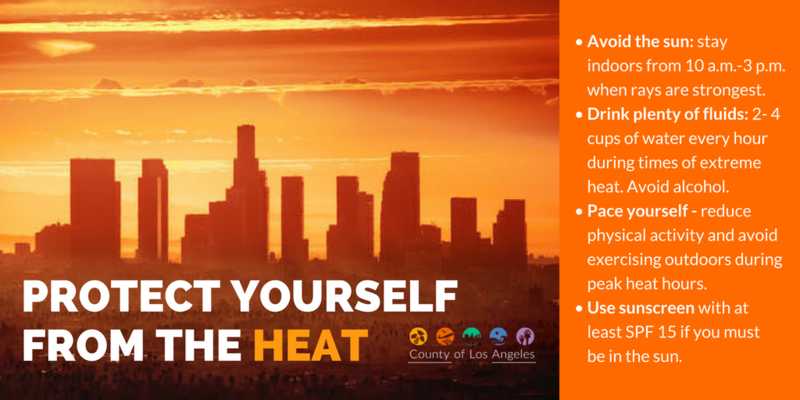 Those “cooling centers” and tips are available at: //Emergency.LACity.org/Heat . 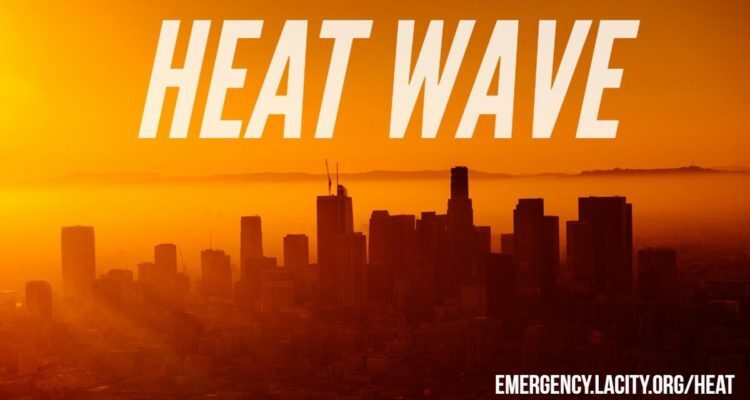 The page advises that heat can become dangerous, especially for children, pets, people who work outside, and people with certain health conditions. Never leave children or pets in a car – not even for one minute. Temperatures inside a car can quicky skyrocket to deadly levels. If you work or play outside, take frequent breaks to hydrate and cool off in the shade. Don’t forget the pets! Keep pets indoors if possible. If kept outside, give them plenty of water and shade to rest in. Symptoms of heat-related illness include dizziness, fatigue, faintness, headaches, muscle cramps, and increased thirst. If you experience these symptoms, seek medical attention. 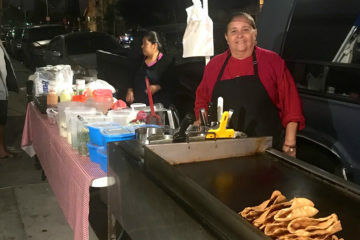 State Street Recreation Center, 716 North State St.
Hollenbeck Recreation Center, 415 S St Louis St.
Wabash Recreation Center, 2765 Wabash Ave.
Boyle Heights Seniors Citizens Center, 2839 East Third St.
Evergreen Recreation Center, 2844 East Second St. Hazard Recreation Center, 2230 Norfolk St.
Centro Maravilla Service Center, 4716 Cesar E. Chavez Ave.
East Los Angeles Service Center, 133 No. Sunol Dr.
Cooling centers are open and available during regular hours of operation. The City Department on Disability works to provide reasonable accommodation to ensure accessibility and effective communications for people with disabilities and others with access and functional needs at cooling centers. 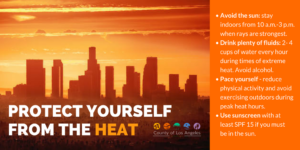 You can call 3-1-1 from within LA City or use the links below to find out more about cooling center locations and hours of operation. 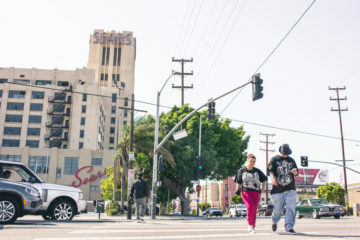 All three branches of the Los Angeles Library in Boyle Heights serve as cooling centers during normal hours of operation, including Sunday hours at regional branches. Stop by to enjoy a book or browse the internet while you take a break from summer heat.